The METRONET Trade Training Centre will provide specific technical and support skills required for railcar manufacturing and METRONET maintenance. It will only be three kilometres from the site of the new Bellevue METRONET railcar manufacturing facility, where 246 railcars required for the project will be manufactured. Midland TAFE will work with the METRONET project team, the Public Transport Authority and railcar contractors and subcontractors to develop specific training and workforce development programs to ensure they complement future plans for METRONET. 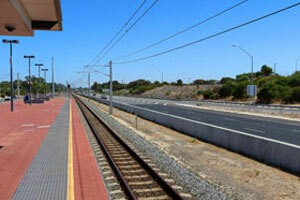 Western Australian Transport Minister Rita Saffioti welcomed the announcement. “Midland is the historical heart of rail manufacturing in Western Australia and I am pleased that, under the McGowan Government, rail manufacturing will return to the area,” she said.